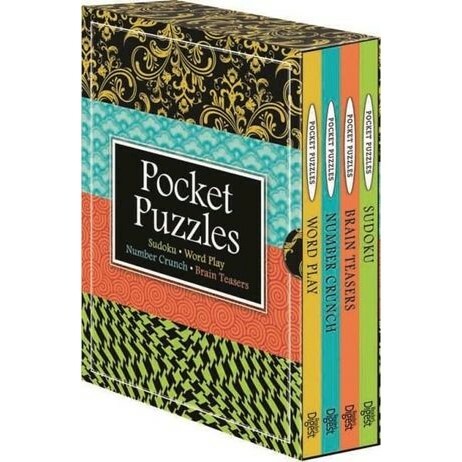 Test your brainpower with this set of four handy 96-page puzzle books, stored in a smart slipcase. Sudoku, Number Crunch, Word Play and Brain Teasers are a convenient size to pop in your bag or briefcase. So, whether you're doing the daily commute or taking a break, you can give your brain a great workout!